The New TrailSeeker spotting scope series from Celestron offers an amazing viewing experience in a rugged and durable rubber armored housing that is fully waterproof and Nitrogen filled. 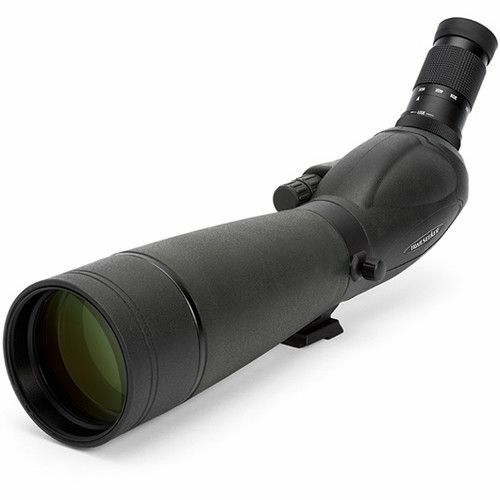 Celestron have used their proprietary XLT multi-coatings on the glass to good effect allowing the optical system to render high resolution images with outstanding contrast. A dual focus mechanism allows you to get subjects in focus quickly and then fine tune the image. The TrailSeeker offers numerous features normally found only in much higher priced spotting scope models, including a sliding sunshade, rotating tripod mount, and interchangeable eyepiece.